Written and updated by Dezza, 13 January 2019. With Mt Mayon in the headlines as it last erupted back in January 2018 in the central Philippines, it has been almost one year since then. Luckily, despite erupting every few years, it doesn’t cause too much damage. Better still, there are usually no fatalities. Let’s hope it stays like that with any future eruptions. Keeping in step with last week’s blog about beaches, I mentioned that I typically break the Philippines up into four major categories being beaches, volcanoes, waterfalls, and caves. So this week we will look at volcanoes. Due to the geology of the Philippines, it is a country that is littered with volcanoes. There is officially 25 active volcanoes in the Philippines, and an astonishing 355 inactive volcanoes. These are some of the best places in the Philippines. So if you are a volcano enthusiast, then the Philippines certainly has a lot to offer. Not everyone is into volcanoes but I have been fascinated by volcanoes since I was a child. It has always been an ambition of mine to experience a volcano for myself, considering we don’t have any active volcanoes in Australia. As further background, of all the volcanoes that I will talk about on this list, I have personally experienced them myself in some shape or form. In some cases, I have hiked to the crater or summit of these volcanoes, and in other cases, I have been in the vicinity and have not actually hiked the volcano itself. So here we go now with the top 8 volcanoes to visit in the Philippines in 2019 (in no particular order). 1). Mt. Mayon (Legaspi City, Albay). Mt. Mayon is the Philippines most active volcano and has erupted over 50 times in the past 400 years. As mentioned in the intro, it last erupted in 2018. 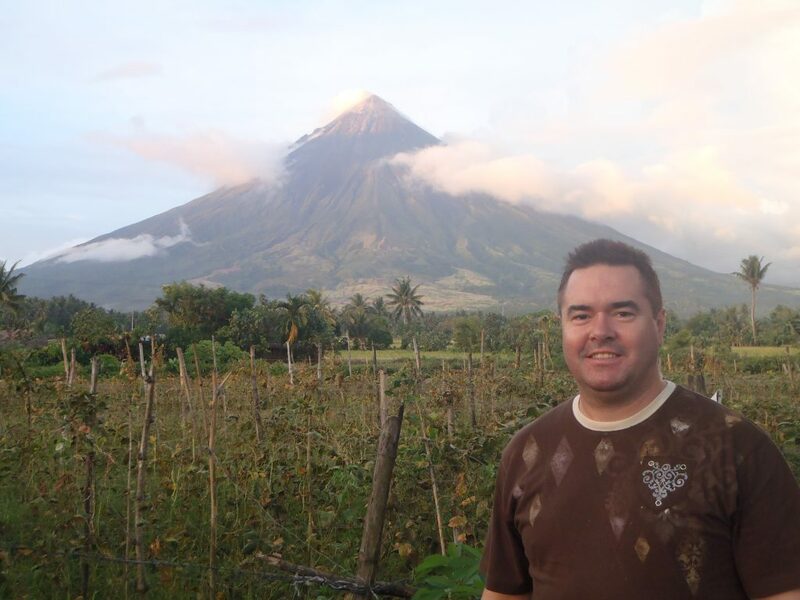 I first went to Mt Mayon back in 2012. We hired some quad bikes and rode to the base of the volcano. At that particular time, you were not permitted to hike up the volcano as it was considered unsafe. However, this didn’t matter as we still got to stand in awe of this incredible volcano. Standing at 2,463 metres this is one of the most unique volcanoes in the world in that it is just about a perfect cone shape. Depending on what happens with the current volcanic activity, this is definitely a volcano worth visiting when it is safe to do so. Mt. Mayon really typifies a volcano with the perfect cone-shaped structure. 2). Mt. Pinatubo (Botolan, Zambales). What more can you say about this beast of a volcano? Although it is not the tallest volcano at 1,486 metres, Mt Pinatubo was responsible for the second biggest volcanic eruption of the 20th century back in 1991. So powerful was the eruption that it sent an ash cloud as far as Europe, and reduced the global temperature by 0.5 degrees. There are regular hikes in which you can go to the crater lake so you can take in the enormity of the destruction caused by this freak of nature. When you are standing in the crater, it is absolutely mind-boggling to think that it used to be the top of a mountain and that the top of the mountain has literally been blown off. You really need to experience it to fully appreciate it. 3). Mt. Hibok-Hibok and Mt. Vulcan (Camiguin Island, Mindanao). Camiguin Island has the most volcanoes per square kilometre than any other island on earth, with seven in total. Mt. Hibok-Hibok and Mt. Vulcan are the only active volcanoes on the island. I have actually hiked to the summit of Mt Vulcan back in 1998. Mt. Vulcan is also known as the “Old Volcano” and its eruption in the 19th century caused massive devastation to the island. I haven’t hiked up Mt. Hibok-Hibok, but this is also a popular volcano for hiking. Mt. Hibok Hibok is the volcano in the centre of the photo, and Mt. Vulcan is on the far right of the photo. 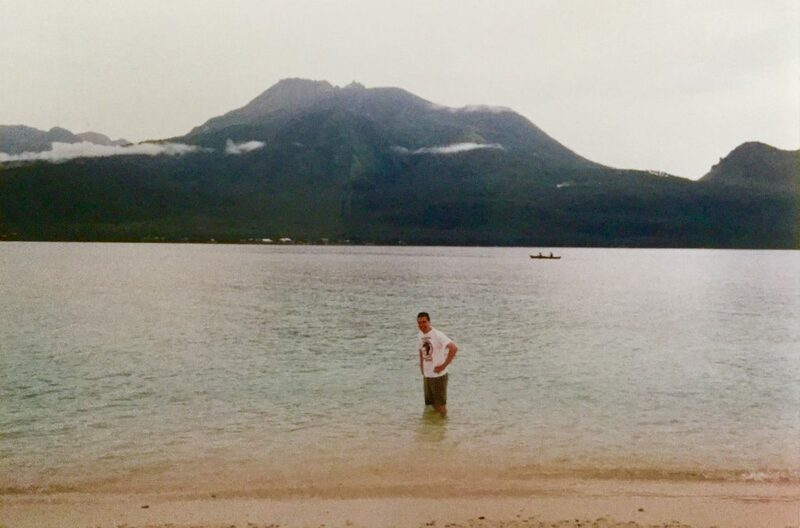 This photo was taken from White Island just off the coast of Camiguin Island. 4). Taal Volcano (Talisay, Batangas). Taal volcano is the second most active volcano in the Philippines with 33 historical eruptions. This is a spectacular looking volcano with a very unique characteristic. It is actually a volcano within a volcano and the crater lake on Volcano Island is the largest lake on an island in a lake on an island in the world. With the township of Tagaytay on the crater rim, it makes for a great day trip. You can relax and have lunch in Tagaytay whilst overlooking the crater lake and the volcano. If you are feeling more adventurous you can take a boat over to the volcano and hike up to the crater rim. I have been to the crater of this volcano on about four occasions. It really is an amazing experience. 5). Mt Apo (Davao Del Sur, Mindanao). Mt Apo is a large solfataric, potentially active stratovolcano. There have been no recorded eruptions from this monster that is the tallest mountain in the Philippine Archipelago, measuring 2,954 metres (9,692 ft) above sea level. There are several hiking trails available, with some tour operators even offering overnight camping treks which are quite popular. I am yet to do an actual trek of Mt Apo but it is on my list for future adventures. However I have been to Bansalan at the foothills of Mt Apo, and I have also been to Mt. Tampurong (Kapatagan), which along with Mt Talomo, makes up the mountaineers trilogy in Davao for trekking enthusiasts. Mt. Apo is the tallest volcanic mountain in the country and is also one of the tallest in the South East Asian region. 6). Mt. Kanlaon (Negros Occidental). 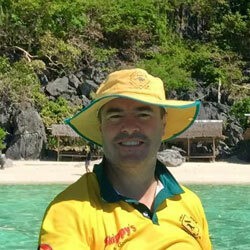 When I was working on projects in Negros Occidental I often travelled from Bacolod City down to Sipalay. On the outskirts of Bacolod, you will find Mt Kanlaon, also spelt as Kanla-on or sometimes Canlaon. Mt. Kanlaon is an active volcano that last erupted in 2006. It is also the highest point in Negros and the whole Visayas. At 2,465 metres above sea level, it is clearly visible from the main highway. However, and rather, unfortunately, I have not been able to find the time to hike this volcano. It actually is a popular hiking destination with many mountaineers to has some well-defined trails. One day I will get around to hiking up this volcano. Mt. Kanlaon is an active volcano and has erupted 30 times since 1819. 7). Mt. Makiling (Los Banos, Laguna). Mt. 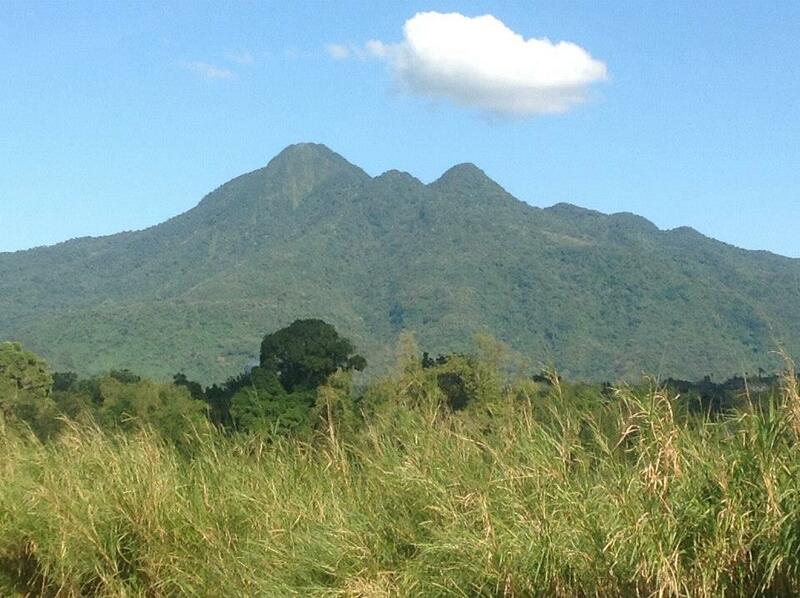 Makiling is considered a dormant volcano and has not had a recorded eruption in its history. However, it has been classified as potentially active. This is a volcano that is shrouded in many different myths and legends. Standing at 1,090 m (3,580 ft) above sea level, it doesn’t seem too high when compared to Mt Kanlaon or Mt Apo, but when you see this mountain lurking at the bottom of the SLEX Expressway, it seems so much taller. I have hiked to the summit of this particular volcano and it was one of the most difficult hikes I have ever done. Being so close to Manila, this volcano is easily accessible for those wanting to visit. Mt. Makiling has the potential to become an active volcano. There are no records of it having erupted in the past. 8). Mt. Banahaw (Quezon Province). Mt. 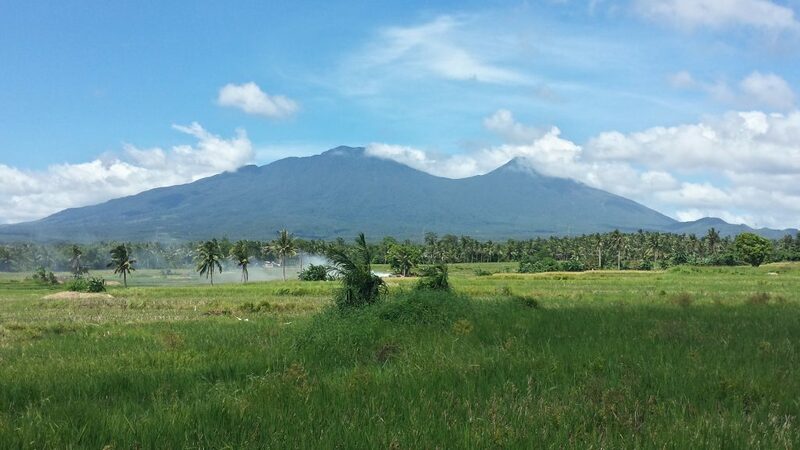 Banahaw is classified as an active volcano and last erupted way back in 1909. 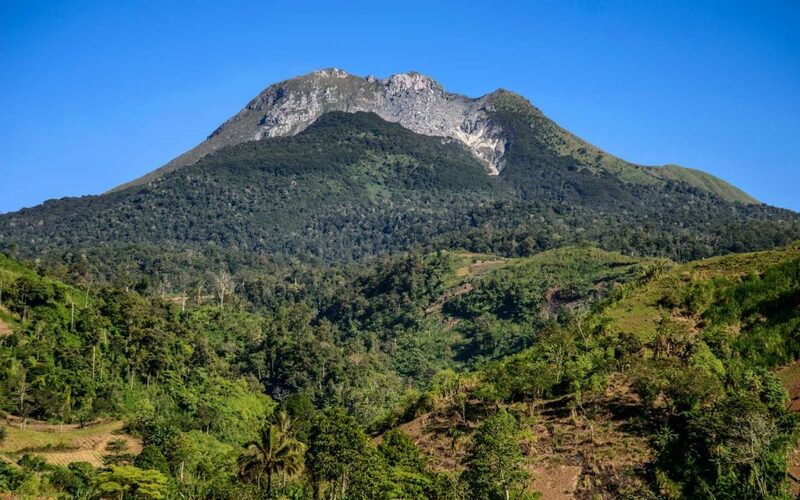 If you are heading to southern Luzon through Quezon province, you will see this giant mountain protruding from the landscape standing at 2,170 metres above sea level. This also makes it the tallest mountain in the Calabarzon region of southern Luzon. Mt. 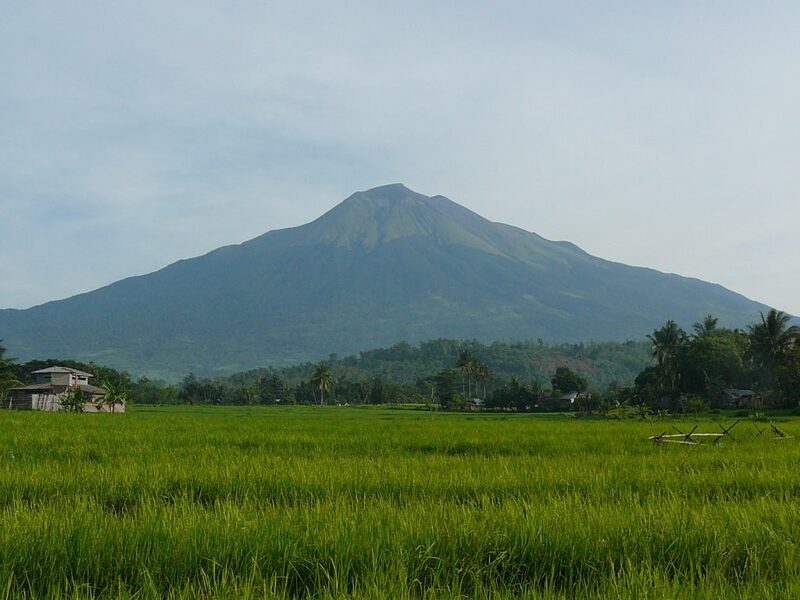 Banahaw has three peaks and is considered a sacred site by the locals and as such, is referred to as “Holy Mountain”. This is a volcano that I have yet to hike up but it is on the list for me to try in the future. Mt. Banahaw from the south side. This really is a monster of a volcano that can be clearly seen from anywhere in the vicinity. Please read the related articles below. Also, feel free to share the article with friends and also join the conversation below!